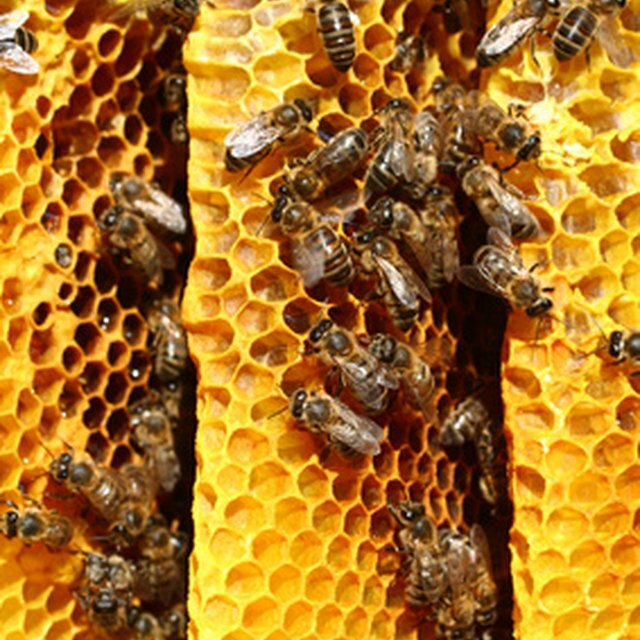 Honeybees communicate in several quite sophisticated ways. One of these is with pheromones — scents that bees secrete to inform others where to go. If you want to catch a swarm of honeybees, pheromones in the swarm trap greatly increase your chance of success. 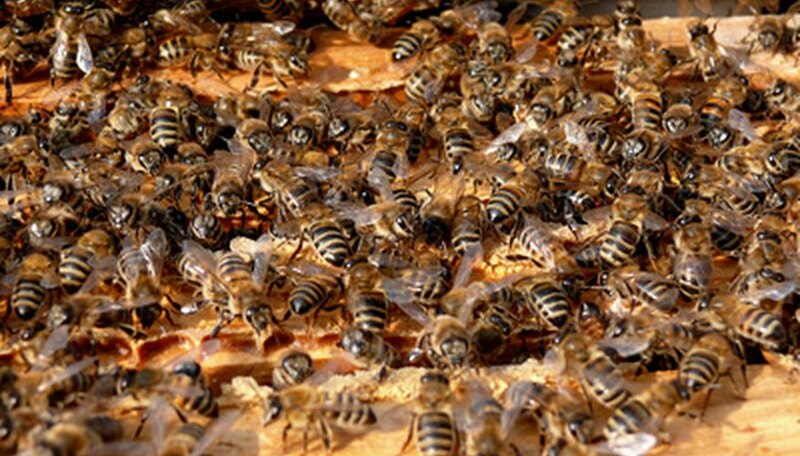 Bees interpret the pheromones as a recommendation of the place by other bees. Beekeeping suppliers sell vials of honeybee pheromones but you can make an approximation yourself with essential oils. The key is citral which is found in lemongrass, lemon and lime essential oil. By itself or combined with geronial, which is found in rose, lemon and geranium oils, citral has a powerful effect on bees. Fill a vial or other small glass or plastic container with cotton wool. Combine 10 drops of lemongrass essential oil with 5 drops of geranium and one drop of lemon or lime in a bowl and stir. Drip the mixture into the vial. You can use a bit of cotton wool to soak up the last traces. Seal the vial if you do not plan to use it immediately. Place the vial in the back of a swarm trap, removing the seal if necessary. Experiment with different recipes if your first attempt doesn’t work. Some beekeepers use lemongrass essential oil by itself; others try various combinations of citral- and geronial-containing oils. Willson, Judith. "How to Make Honey Bee Pheromones." Sciencing, https://sciencing.com/make-honey-bee-pheromones-7555977.html. 24 April 2017.